George Mason - The Founder Who Refused to Sign the Constitution | What Would The Founders Think? In the end, George Mason did not believe the Constitution established a wise and just government. He was one of only three delegates present in the final days of the convention who didn’t sign the document. The other two refused to sign due to their personalities. Elbridge Gerry was mercurial and cantankerous by nature, and Edmond Randolph was afraid to be associated with something that might fail. George Mason, on the other hand, refused to sign based on his principles. In early 1776, before the Declaration of Independence, Mason drafted the Virginia Declaration of Rights and framed Virginia’s constitution. George Mason was rightfully proud of the Virginia Declaration of Rights, and pleased that it became a model for other states. The document had sixteen sections, but these short paragraphs encompassed the Founding Principles. The concepts look familiar because Thomas Jefferson eloquently incorporated them in the second paragraph of our Declaration of Independence. Therein lies the rub. George Mason’s primary objection to the Constitution was the absence of a bill of rights. He not only refused to sign the document at the convention, he hotly fought against it during Virginia ratification, despite promises by James Madison and others to add a bill of rights in the first congress. Although he believed a bill of rights was mandatory, he had additional objections to the Constitution. Among his other concerns, he believed the convention was giving the executive branch (president) too much power. On June 4, he made an angry speech to the federal Convention. We are, Mr. Chairman, going very far in this business. We are not indeed constituting a British government, but a dangerous monarchy, an elective one… Do gentlemen mean to pave the way to hereditary monarchy? Do they flatter themselves that the people will ever consent to such an innovation? If they do I venture to tell them, they are mistaken. The people will never consent! During the convention, Mason consistently argued for a three-person executive. In his mind, a one-person presidency was far too close to the monarchy they had just fought a bloody war to escape. 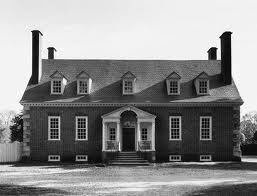 As owner of Gunston Hall, Mason was one of the richest planters in Virginia. He owned seventy-five thousand acres and over ninety slaves. Despite his membership in the planter class, Mason often expressed opposition to slavery. 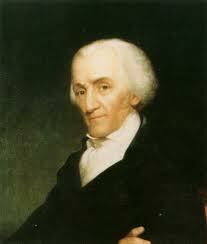 During ratification, however, he argued that the Constitution did not adequately protect slavery. This may, however, have been a political ploy to persuade slaveholding delegates to oppose adoption. When his neighbor, George Washington was inaugurated, Mason remained pessimistic. In fact, he was so frustrated with a federal government he believed was too strong, he retired from politics. This was the country’s loss. 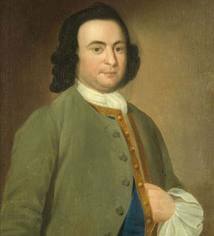 George Mason made great intellectual contributions to our founding. He unswervingly supported natural (inalienable) rights, both in Virginia and the nation. To a great extent, we owe him our gratitude for the first ten amendments. What about the other two non-signers? Elbridge Gerry reversed his allegiance to become an ardent Federalist, but later bolted the Federalist Party to join the Jeffersonian Republicans. Edmond Randolph was a simpler sort. Washington promised him the position of Attorney General in his administration, and he became a keen supporter of the Constitution during the Virginia ratification. Excellent article, especially in light of what has come to be since then. Mason was right, who’d have thought, eh? Apparently, George Mason. Gerry and Randolph had and made known their reasons for not singing. To suggest that Mason was the only one to do it for principled reasons is a disservice to both Gerry and Randolph and his historically inaccurate. As governor of Virginia, Randolph presented the Virginia Plan, but vacillated the entire four months. Despite what he said, (he was after all a politician) many historians believe Patrick Henry convinced him to oppose the Constitution. With what many presumed was the greatest orator of his day, and the governor in opposition, the Virginia ratification may very well have failed. Even if nine other states ratified, that would have split the country in two and possibly doomed the Constitution. (Virginia was also the wealthiest state.) G. Washington saw all of this and made Randolph an offer he couldn’t refuse. As for Gerry, he gave so many reasons, I bought none of them. Were there valid reasons to oppose the Constitution? Yes. But before I went to these two men, I would rather reference the anti-Federalist papers. Mason’s contributions deserve more attention, which is why it is so sad, annoying, frustrating, and just plain wrong, that the current director of his home Gunston Hall made a public faux pas about Mason’s political contributions. See the film “Fractured Union”, paid for by Fairfax Cty Public Schools and Mount Vernon and witness the incorrect statements made about Mason and the Constitution by David Reese, the director at Gunston Hall for the past 7 years. Yikes. Why is this not getting any public attention? It is embarrassing to the Commonwealth of Virginia and to the Board of Regents. It is like the director of Mount Vernon saying that George Washington was not a supporter of American Independence. As James points out, Patrick Henry’s prophetic warnings and influence cannot be overlooked. George Mason certainly made major contributions to the Constitution. His prior work was seen as a benchmark, and he was the fifth most frequent speaker during the convention. What about the 3/5 amendment? I know that he opposed it, but why? And what did he want instead of this? Mason was one of several delegates (including James Madison) who opposed slavery in principle but were also slaveowners. This anomaly did not escape the notice of Southern delegates in their fight against abolition. This led eventually to the adoption of the notorious three-fifths clause and the continued importation of slaves until twenty years later, in 1808. The preservation of the institution of slavery made for an imperfect document, but most scholars agree that the Southerners would have walked out and there would not have been a constitution without the compromises regarding slavery, which eventually took a civil war and the 13th amendment to resolve. I’m Tyler Mason…. I’m related to him so it’s pretty cool to read about this. In light of the issues currently at hand in our federal government one only wonders…had he further prevailed. Thank goodness he argued long enough to influence Jefferson in his second paragraph of the Declaration and also to influence the first 10 amendments to the Constitution.